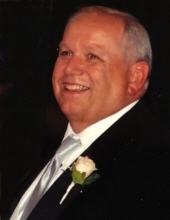 Frank Allen Barkley, 65, husband to Betty Barnhill Barkley, passed away Wednesday, January 16, 2019 in Georgetown. He was born in Georgetown, Kentucky on September 4, 1953 to the late Benjamin Craig and Nancy Elizabeth Jones Barkley. Frank was a member of Northside Christian Church, a former deacon at the church, a board member, and also drove the church bus. He spent 23 years teaching 4 & 5 year olds at Northside Christian Church, and was very active in the church. Frank was a Kentucky Colonel. He enjoyed woodworking and was a former sports coach. Along with his wife, he is survived by sons, Bryan Christopher Barkley (Theresa Fitzpatrick-Barkley) of Lexington, Kentucky and Jason Todd Barkley (Rebecca Mae), of Georgetown, Kentucky, grandchildren, Jackson Cole Barkley, Autumn Grace Barkley, and Brooklyn Noelle Barkley. Frank is also survived by brothers, Dr. Lloyd Weber Barkley of Owensboro, Kentucky, and William Michael Barkley of Stamping Ground, Kentucky, and sister, Mickey Burge of Stamping Ground, Kentucky. He was preceded in death by brother Rev. Roger Barkley and sister, Nancy Edwards. Visitation for Frank will be Friday, January 18, 2019 from 5pm to 8pm at Northside Christian Church. Service will be 2pm Saturday, January 19, 2019 at the church with Minister Tommy Simpson, Minister Sammy Harris, and Minister Nic Skinner officiating. Burial will follow the service at Georgetown Cemetery. The following will serve as pallbearers, Rick Kopp, Ryan Barkley, Michael Barkley, Dewayne Edwards, Mike Burge, and Ernie Burge, Jr. Honorary pallbearers will be Ken Randall, Charlie Simpson, Bob King, Merle Jackson, Bud Edwards, Ernie Burge, Sr., Randall Wells, Tommy Payne, and Thurley Reed. Memorials may be made to UK Markey Cancer Foundation, 800 Rose Street, Roach Bldg-CC160, Lexington, Kentucky 40536 and Bluegrass Hospice Care, 1317 US Highway 62E, Cynthiana, Kentucky 41031. To send flowers or a remembrance gift to the family of Frank Allen Barkley, please visit our Tribute Store. "Email Address" would like to share the life celebration of Frank Allen Barkley. Click on the "link" to go to share a favorite memory or leave a condolence message for the family.